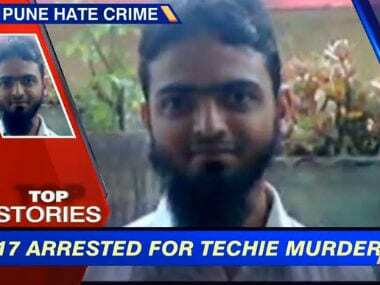 Pune techie murder: Who is 'Bhai', chief of Hindu Rashtra Sena? The news about the murder of a Muslim IT worker in Pune after a mob riot over morphed pictures of Shivaji, late Shiv Sena chief Bal Thackeray and other Hindu gods has led to the fringe right-wing group Hindu Rashtra Sena to hit the headlines. 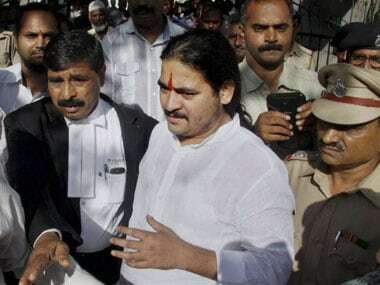 Gradually, new information is emerging on the little known Hindu Rashtra Sena and its chief Dhananjay Desai, referred to as Bhai by his followers. Dhananjay Desai appears to have started this group when he was just 14 years old, according to one of his followers. Desai will be questioned in the murder of Mohsin Sadiq Shaikh in Hadapsar on Monday, according to an Indian Express report. Interestingly Desai was also invited for a Hindu Rashtra Convention in Goa in 2013. The section of talks for which he was invited dealt with 'Retaliating the attack of Islam', and he spoke on "Increasing Jihadi mentality among the Muslims and Safety measure". You can view a slideshare on the same here. The report highlights that Desai is "a history-sheeter, named in 23 cases of extortion, rioting and other crimes". More recently he was also questioned in relation to the murder of anti-superstition activist Dr Narendra Dabholkar. Desai also has "shared stage" with right-wing leaders including Pramod Muthalik of the Shri Ram Sene and Himani Savarkar of Abhinav Bharat. Desai, who always has bodyguards surrounding him, is quite popular among a section of the youth who even copy his hairstyle, according to the report. One Hindu activist compared him to 'Robin Hood', one who's putting the wealth of the rich to the cause of Hinduism. A Financial Express report quotes Yogesh Kupekar, who supervises the HRS office in Mumbai, as saying, "Bhai was influenced by the Shiv Sena in the 1980s. But he wanted to form his own group and work for the cause of Hindutva... Bhai got the blessings of Bal Thackeray and many Hindu sants for his dedicated work for Hindutva." For now, the police has started the process of looking at a possible ban on the organisation but the procedures before taking that step would take some time. According to a report in Times of India, Pune Police Commissioner Satish Mathur said, "Curtailing activities of the HRS is a priority but to impose a ban on any outfit is easier said than done. The police have started collecting documents and evidence with a view to impose a ban on the outfit. We will send the report in this regard to the state government." Meanwhile, the police arrested four more members of the group taking the total number of arrests in the case to 17. According to PTI, authorities are mulling invoking the stringent provisions of the Maharashtra Prevention of Dangerous Activities Act (MPDA) making it difficult for them to secure bail. The PTI report adds that police are also probing the conspiracy angle to the murder after emergence of an SMS circulated by the accused among themselves which said in Marathi "Ek wicket geli (one wicket has fallen)". Meanwhile BJP MP from Pune Anil Shirole made a controversial statement that though the incident (murder) was "unfortunate" the repercussions of the derogatory post were "natural". "What happened is unfortunate but after the Facebook post some repercussion was natural," he said, but hastened to add, "We are making all efforts for restoring peace in Pune, people there want peace." Those arrested have been booked under various sections of IPC including murder. In addition, about 180 persons have been arrested in connection with cases related to the rioting and damaging of city buses in the area in the incidents on Sunday and Monday during the bandh called to protest against the Facebook post. Mathur said the role of self-styled chief of HRS Dhananjay Desai in the murder was under investigation. Desai was arrested in a case filed against him for circulating inflammatory literature after the violence. The arrested accused were produced before a magistrate who remanded them in police custody till June 9. Home Ninister R R Patil said strict action will be taken against those responsible for the incident. "Some people always want to create communal tension. Strict action will be taken against all those responsible," he said in Mumbai. 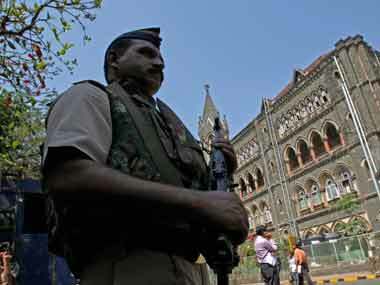 Pune Muslim youth murder: Is the Bombay HC bail to accused a licence to kill for sake of religion? 1Pune techie murder: Who is 'Bhai', chief of Hindu Rashtra Sena?